Scott Thorson is the jilted lover of late American entertainer Liberace. Scott became famous for not only his relationship with the pianist/vocalist, but also for the lawsuit he filed against him and his testimony against gangster Eddie Nash. Has Scott Thorson had plastic surgery ? Scott has revealed that he has had extensive plastic surgery to look like a younger version of Liberace, at his lover’s insistence. And he believes that ist was a likely resemblance with the reshaped chin et al. Thorson met Liberace in 1976, when he was just 16. Whe he turned 18, Liberace hired him to be his personal friend and companion. Liberace was 48 years Scoot’s senior. Scott says that he has good memories of this period than bad – with mink coats and millions worth jewels. However, according to him, their committed relationship ended as a result of Liberace’s promiscuous behavior and Thorson’s drug addiction. 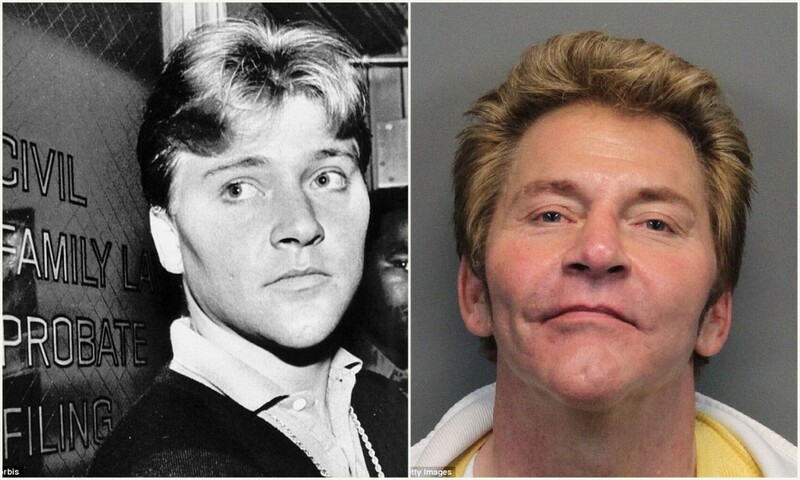 Apparently, after his plastic surgery, the surgeon provided Thorson with a deadly cocktail of highly addictive drugs including Cocaine and Demerol. In 1982, Thorson filed a lawsuit against his former lover and it was settled outside of court. He later reconciled with Liberace, right before his death. Scott also published a book on his life with the entertainer – Behind the Candelabra, which was later adapted into a movie. Apart from his plastic surgery fiascos, Thorson has also been in the news for the wrong reasons including pleading guilty to felony, drug and burglary charges. He has given many interviews after Liberace’s death and claims that he had a nose job, restructured cheekbones, a chin implant, and a cleft in his chin to fulfill his former lover’s wishes. Apparently, Liberace was not too happy about his aging face and had several facelifts and other procedures. He wanted Thorson to look like his son and insisted on plastic surgery to achieve this dream. To this, we can only say; Celebrities and their weird wishes.